The SiS GO Energy Drink is a complex carbohydrate energy drink which is designed to give you a fast acting and sustained release of energy to fuel your training and racing. It is pleasant in taste and easy for the stomach to digest and will help you to stay fuelled during training. 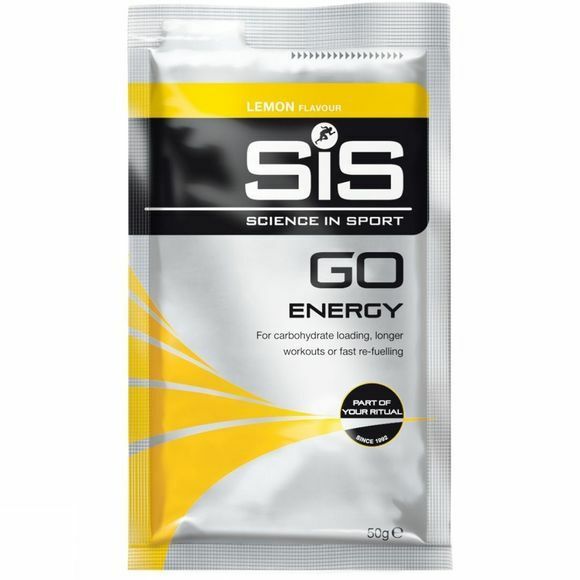 SiS Go Energy Drink is available in these handy sachets which makes preparing the drink a doddle and removes the need for weighing and measuring the powder. This drink will give you a boost of lasting energy when you are on the run and it can also be used to help carbo load prior to events or as a recovery drink to replenish your stores of carbohydrate after exercise.